If you're wondering whether to upgrade to Integration Services 2012, or just want to know what differences there are between SSIS 2008 R2 and 2012, this blog should help you! Difference 1 - SSIS 2012 Looks Different! 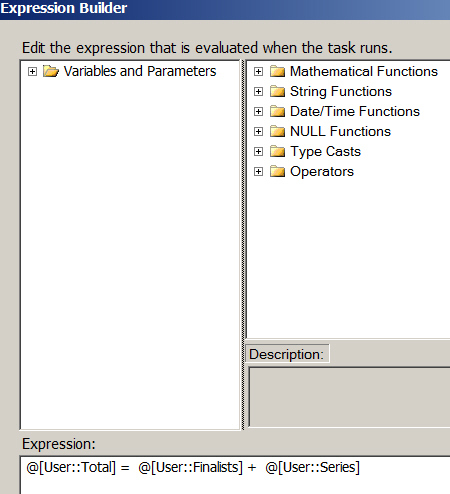 An expression task allows us to calculate an expression, usually to store this value in a variable. 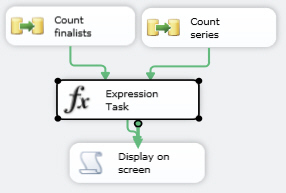 The advantage of an expression task is that you can calculate variables without needing to create cumbersome script tasks. The expression task allows us to set one variable equal to the sum of two other ones! 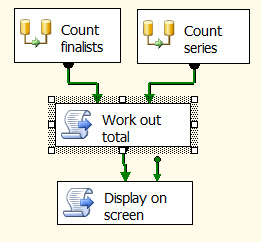 Time now to look at what should perhaps have been number 1 on my list: undoing and redoing commands in SSIS.